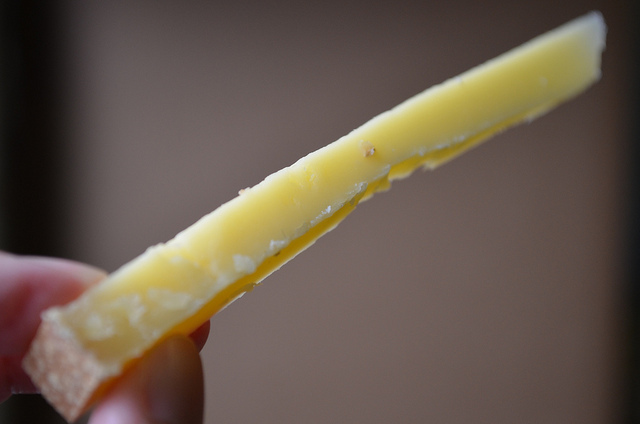 Cheese connoisseurs: Rush Creek Reserve season has begun. 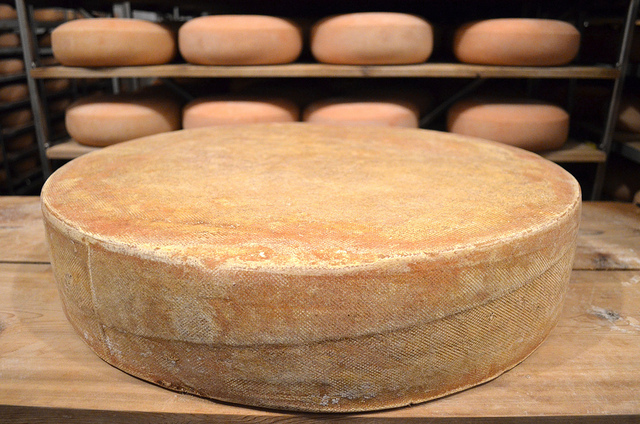 First released last Wednesday, this rich, raw, autumn milk cheese has aged just 60 days, the minimum requirement. 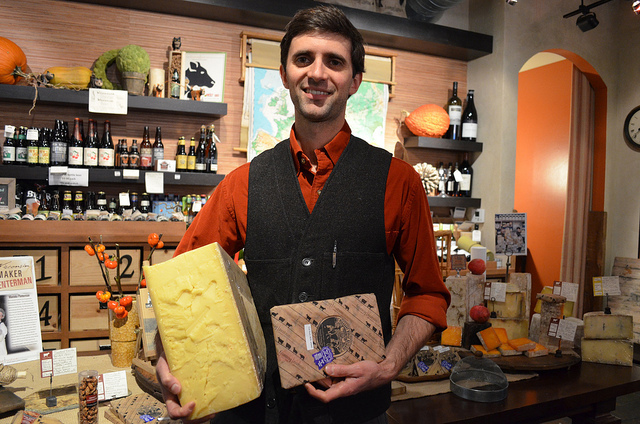 Furthermore, cheesemaker Andy Hatch himself will be in town this Friday at Pastoral in the Loop for an Uplands Cheese tasting, including their award-winning firm and nutty Pleasant Ridge Reserve. I visited Hatch at Uplands near Dodgeville, Wis. — about 300 miles northwest of Navy Pier, an hour&apos;s drive west of Madison — on an intense cheese tour last week. The Wisconsin Milk Marketing Board invited me to see and taste firsthand the new American cheese movement. 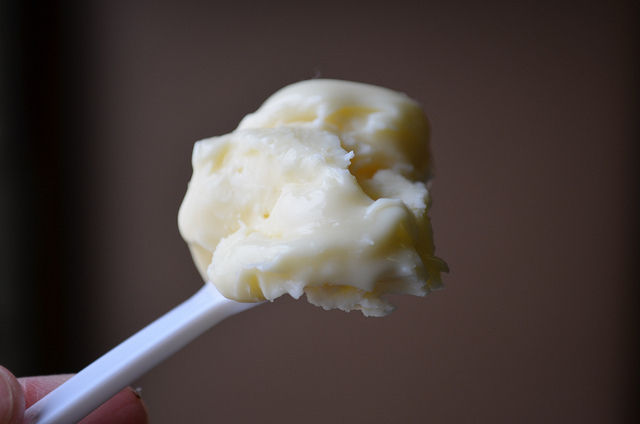 The first time we spoke, Hatch said he&apos;s a big fan of Wait Wait and listens while making cheese. Later he clarified: They only listen while cleaning. He said can’t listen while actually making cheese because he needs to concentrate and Peter Sagal is too distracting. So it’s music while cheesemaking for Hatch, who&apos;s also a musician, and Wait Wait’s humour while cleaning. “It makes us scrub harder,” he said. Uplands is unusual in that they keep 150 of their own cross-bred, free-range, grass-fed dairy cows, which provide all the raw milk they use to make their cheese. 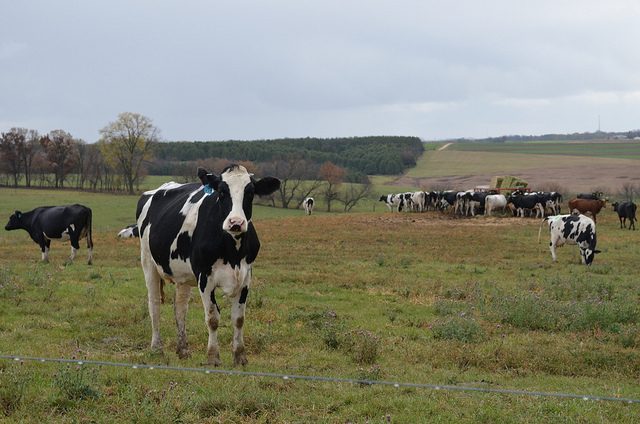 When pasture conditions aren’t ideal, as they weren’t this summer with the drought, resulting in milk not up to their standards, they sell it, and consequently make less cheese. Uplands made only one kind of cheese for 10 years, Pleasant Ridge. Inspired by the French Alpine Beaufort cheese, it’s won the Oscar of the cheese world, Best of Show from the American Cheese Society an unprecedented three times — so far. 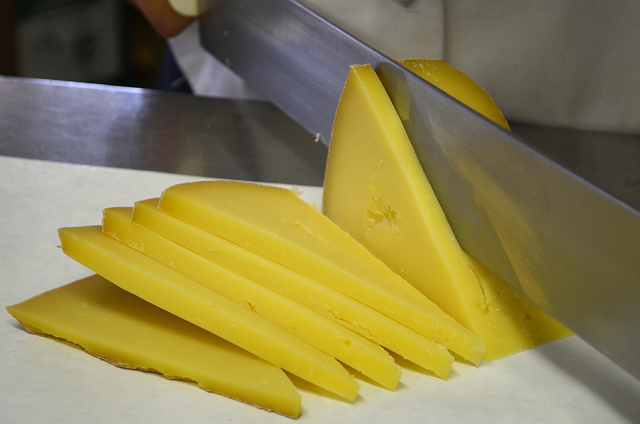 And then in 2007 along came Hatch and the rest is new American cheese history in the making. 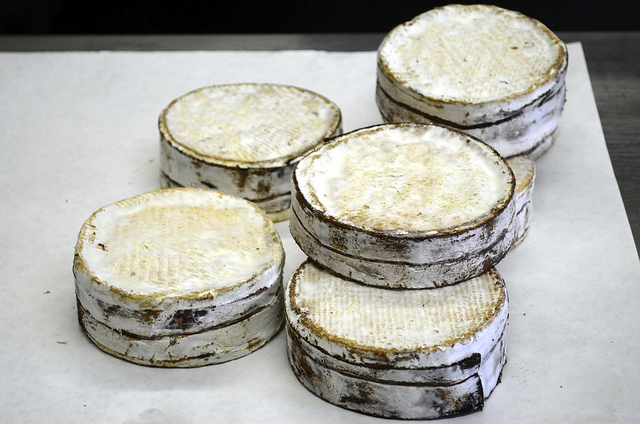 Having apprenticed throughout Europe, he wanted to create an American version of Vacherin Mont d&apos;Or, the fabled, velvety cheese that&apos;s traditionally made as a cold weather complement to Beaufort. He uses only rich autumn milk, produced while the cows transition from grass to hay. 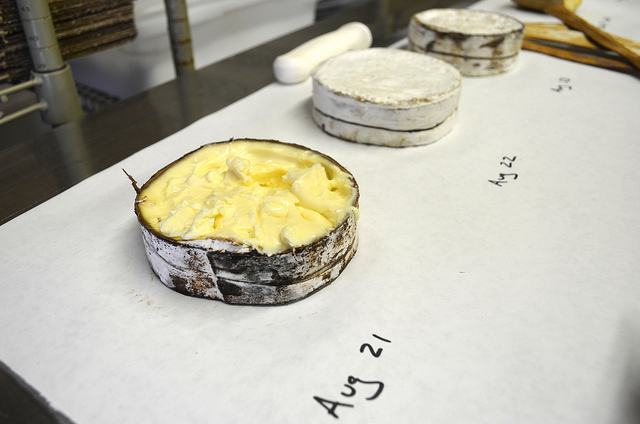 He made his last Rush Creek Reserve cheeses of the season last Thursday. They&apos;ll age the minimum 60 days required by federal law then sell out as soon as they hit shops, sometimes before. His first attempts in 2009 resulted in about half fed to their pigs. The pigs are normally fed whey, another traditional cycle of farmstead cheesemaking. In 2010 Rush Creek Reserve was first released to critical acclaim. Wrapped with a strip of the same spruce bark used on French Vacherins, Rush Creek is full and fatty, filled with smoky, savory flavor. Hatch says this style was originally created by monks who didn’t eat meat, so they summoned a mighty, cured-meat-like cheese. Pleasant Ridge is normally made in ten-pound rounds but Hatch made two 80-pound wheels to celebrate the birth of his and his wife Caitlin&apos;s first child last November, their son Augie. Both Pleasant Ridge and Rush Creek are hand washed with the same brine solution and aged side by side in the same caves. One giant wheel was cut at Fromagination cheese shop in Madison last Friday for their fifth anniversary. The other he says he’ll probably cut for Augie’s third birthday. Please note that Uplands is a small working dairy farm and cheesemaker. They cannot give tours to the public. They do not even sell their cheese on the farm. You can however order directly or find them locally at Pastoral, Provenance or Marion Street Cheese Market. I&apos;ll share more from the cheese tour in future posts. Hatch likes to say Pleasant Ridge is made in the pasture while Rush Creek is made in the cave. After my visit, I’d say his cheese is made in his soul, infused with music and good humour.